I didn’t intend for today to be baseball day, but for now it is. 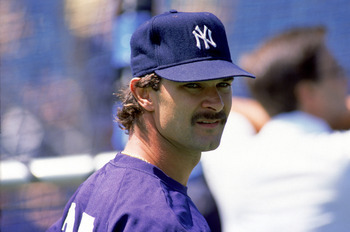 Don Mattingly spent a 14 year playing career as a Yankee. He is now managing the Dodgers. My memory of him will always be a cartoon. This entry was posted in Sports Steesh and tagged Baseball, Don Mattingly, Humor, Los Angeles Dodgers, Moustache, Mr. Burns, mustache, new york yankees, Sideburns, sports, The Simpsons on June 1, 2012 by Los Bulls.